It might be the most fun and satisfying thing you’ve built. It’s called a Six-Hour Canoe and you will learn how to build it hands-on at the Boatbuilding Basics Workshop starting February 9th. You will use simple hand tools to transform raw wood into a beautiful floating product. There are three simple ways to register: e-mail us at cabbsmail@gmail.com or call Ed Neal 440-871-0334 or download and print out the registration form. The Six-Hour Canoe is a lightweight, 15ft. boat paddled like a kayak. It can take you into lakes, rivers and streams and is easily transported on the roof of a car. The Boatbuilding Basics Workshop starts on Saturday February 9, 2019 and runs for five consecutive Saturdays. Each Saturday begins at 9 AM and wraps around 3:30PM. The class will be held at the Cleveland Amateur Boatbuilders Workshop, in the PHASTAR Bldg. at 1776 Columbus Rd. in the heart of Cleveland’s rowing community neighborhood along the Cuyahoga. You will work in a team of four with each team building a Six-Hour Canoe. Novices and women are welcome: No prior experience or woodworking skills are necessary. When it’s completed, the boat will be raffled off among the four who built it. You will learn to read boat plans, fit plywood panels, cut compound angles, plane bevels, use epoxy glue and fiberglass tape, sand, and paint. The boat will be completed to point of primer paint. The final hull color will be selected and purchased by the new owner. Cost for the BOATBUILDING BASICS Workshop is $195. Three simple ways to register: e-mail us at cabbsmail@gmail.com or call Ed Neal 440-871-0334 or download and print out the registration form. Registration closes January 30, 2019. Workshop space is limited so register now. A $50 refundable deposit can hold your place. 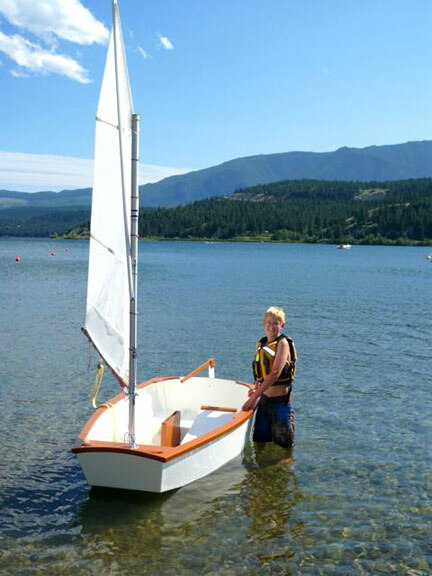 The BOATBUILDING BASICS workshop makes an excellent gift for any outdoorsy person. Starts Saturday February 9 and runs for five consecutive Saturdays, 9AM – 3:30PM. Cost: $195 per person. Minimum age to participate is fourteen (twelve with adult). A $50 refundable deposit can hold your place. You will work in a team of four people building a boat. When the boat is completed it will be raffled off among the four who built it. Have questions? Email us at cabbsmail@gmail.com or call Ed Neal, 440-871-0334.